Cheese! Wonderful cheese! Wonderful Cheese. This is one thing that goes with every recipe and if you are a Cheese lover then it literally goes with everything right? Cheese pizza, Mac n cheese, Cheese sandwich, cheese nachos and the list is endless. It is loved and consumed by half of the world. Cheese is not a food, it is a religion and no matter what the faith of Cheese is the most sincere of all. It is one thing that is mouthwatering and amazing in every state, be it liquid, solid, shredded, molten, slice or anything. 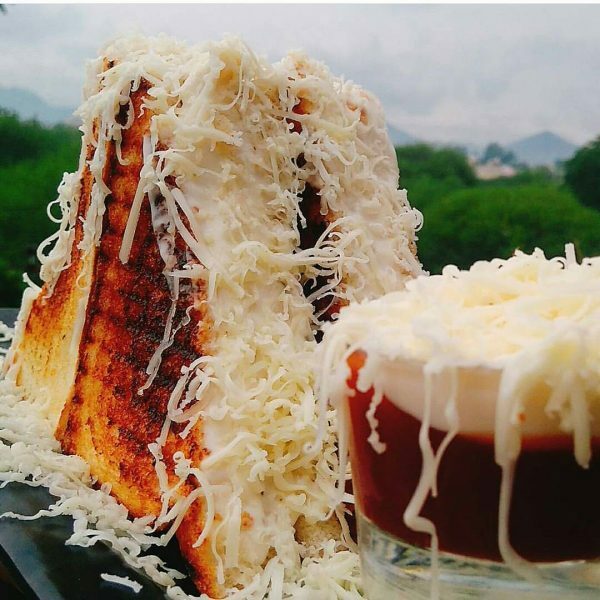 Well, since we know your eternal love for Cheese, we have got you heavenly recipes which will not only satisfy your ultimate cheese cravings but whose taste will stay in your mouth until you die. As the name suggests, it contains two types of Cheese. The liquid cheese and processed cheese. Liquid Cheese is mixed with the stuffing of the sandwich and a large amount of shredded processed Cheese rests on the top of this large sandwich. Now if it is not enough to satisfy your cheese craving mouth, the ketchup is topped up with Cheese as well. You will be served ketchup in a shot glass which is further topped with liquid Cheese and shredded processed cheese. Phew! So much of cheese. At once they are just some ordinary vada pav served with chilies and ketchup. 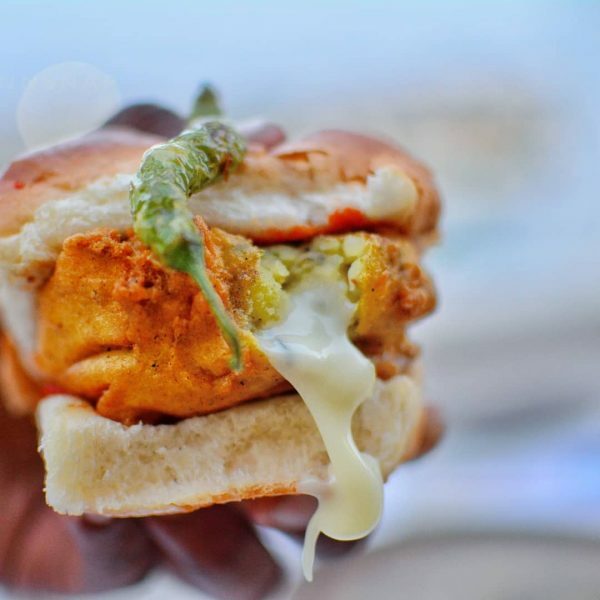 But then you take a bite of it and a molten cheesefall arrive from the Vada of the vada pav. It is not just a treat for your mouth but your eyes would be charmed as well. It is a mind-blowing innovation of Indian food with an exotic touch. Eat Crave Repeat has lately became one of the favorite spots for all the youngsters in the city. 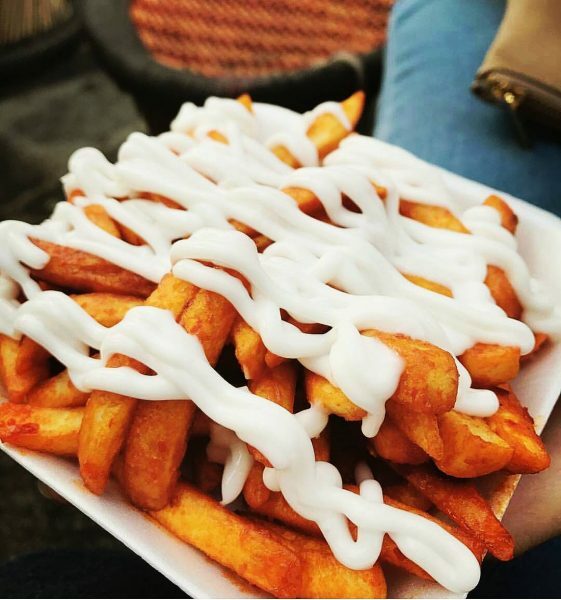 It is majorly famous for its potato tornado but that just not it. If you go there and do not have their Cheesy mayo fries, then my friend it was all waste. Cheesy mayo fries are creamy fries because obviously they are covered in mayonnaise and molten cheese and when you are done eating them, they will still linger in your mouth inviting you again and again. Mac n Cheese is not something that you are only going to look at in Television and magazine. 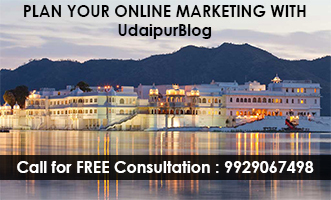 Now you can also savor its deliciousness in Udaipur. It has this creamy texture that is going to play in your mouth for few seconds before it finally enters your stomach. It contains liquid cheese inside it and it is also topped up with lots and lots of shredded cheese and black olives. This pocket-friendly tongue relishing dish is a must try for all the Cheese lovers out there. Pizza and cheese are two things that go hand in hand because without Cheese, pizza is like the ocean without water. 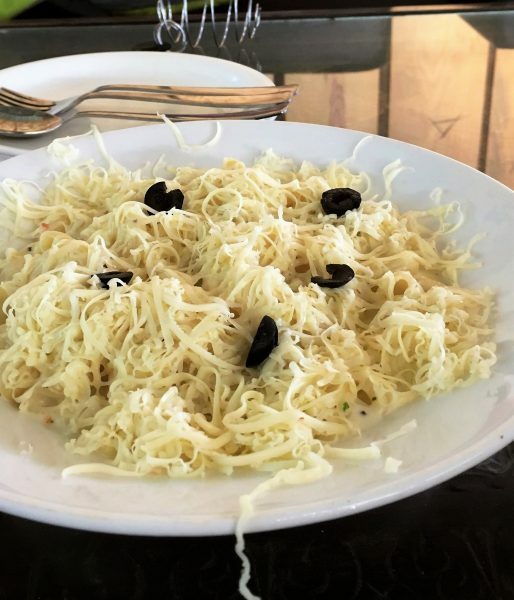 And when it comes to pizza, the first place that pops up in the mind is Jheel café. Jheel has nowadays become a hub for all the youngsters to relax their mind with the café overlooking Lake Pichola and along with all that you can also enjoy your food. It is a woodfired pizza. The entire pizza has two major toppings, tomato, and cheese. 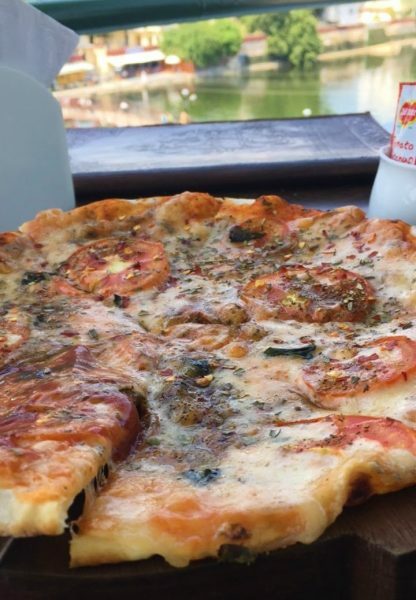 When you take the first bite of pizza, it will create strands of cheese between your mouth and the pizza slice and that will make you want to eat the entire pizza all by yourself. This huge bun is filled with spicy noodles and lots of liquid cheese in and out. This is a fantasy for all the Cheese lovers. 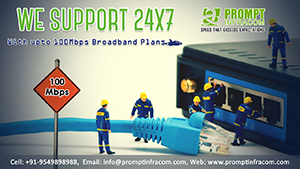 You can have this amazing dish with their mouthwatering chocolate chai. 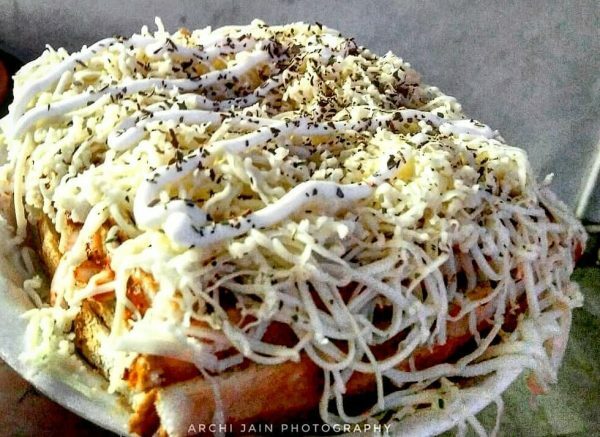 This one bun is enough to fill your stomach for a time and at the end of this, your cheese covered lips will be just left smiling. 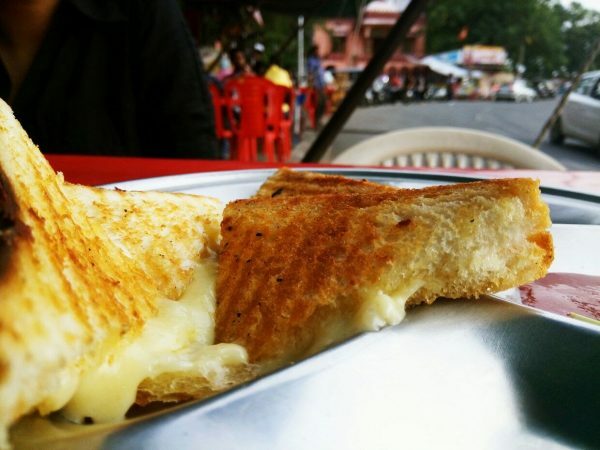 A sandwich is like a soul mate of Cheese and if you love both of them, go and try Plain Cheese sandwich at Bombay market, Fatehsagar. 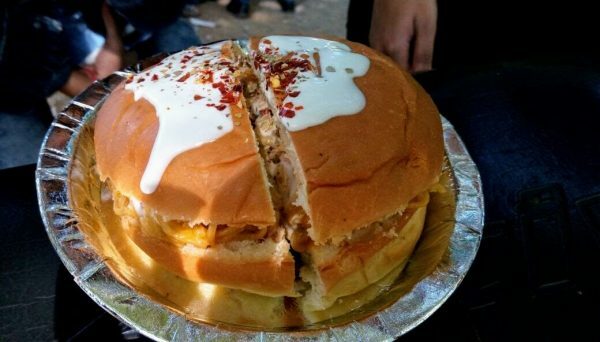 Imagine hot sandwich containing nothing but molten Cheese dripping from it at your very first bite. Doesn’t it sound dreamy? Well, it sure tastes that too. And this fantasy only costs you Rs. 50/- So I am sure you are not going to stop at just one sandwich. This is a perfect combination of creamy cheese and crispy nachos if you are yearning for spicy, cheesy Mexican treat. 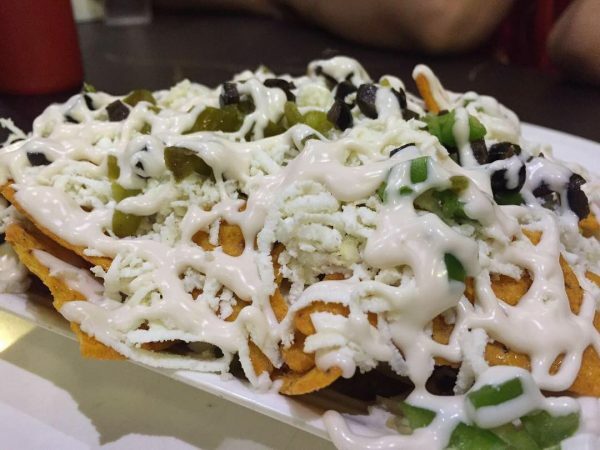 Cheesy nachos is a dish where crispy nachos are topped up with Cheese of course and capsicum, olives, and jalapeno. These nachos are a bundle of flavors that explode in your mouth as soon as you put a piece in your mouth. So flavorsome. If I am told to describe this sandwich, all I would say is LOTS AND LOTS OF CHEESE. This is like a temple for cheese lovers because no matter what you order you will get some or lots of Cheese in every sandwich. Cheese overloaded club sandwich completely justifies its name. It is filled, topped and covered in Cheese. As soon as you pick a slice of this sandwich the strands of cheese resting on the top of the sandwich will begin falling, so now you can imagine the amount of Cheese it has. After all the spicy finger licking food above, there must be something for the sweet tooth as well right? Well, we haven’t forgotten about dessert and don’t worry it also has cheese inside it. 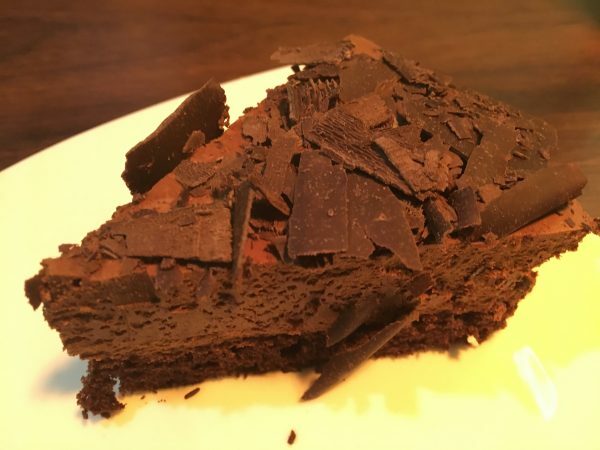 Chocolate Cheesecake is flavorsome dessert exploding with the flavor of Chocolate and Cheese. This sweet cake will melt as soon as you put it in your mouth and will make you go ‘mmm’ altogether. Now that we have the entire bucket list prepared for you, all you need to do it prepare your appetite, gather your friends and head straight to these places to satiate your unconditional cheese craving. And always remember ‘Life is great but Cheese makes it better’. How many of them have you tried? Share with us in the comment section below. Also, if you have any more cheesy suggestions, they are always welcomed.